Quality of place is a strong asset for communities throughout the Permian Basin region. The region is a heterogeneous mix of communities unique in their history, heritage, amenities, and resources, but each making significant investments in enhancing the Quality of Place for their citizens. From large metros like Midland and Odessa to small municipalities like McCamey, communities throughout the region are striving to create a compelling and unique brand the capitalizes on local assets, makes their individual community stand out as unique, and improves the lives of residents. Below is an inventory of many of the projects, recent, planned, and underway that promise to enhance the lives of citizens within the Permian Basin region. Several communities within the Permian Basin region have active Downtown Development and Revitalization efforts under way, including Midland, Odessa, McCamey, and Big Spring. are a sample of recent successful CBD projects. - The Odessa Economic Development Corporation offers Downtown Economic Development Incentives as part of its Main Street Project. property as a small business incubator and plans to purchase another for a similar effort. sector angel investment to retain and refurbish the Settles Hotel. A $163,110,000 Midland ISD School Building Bond was passed on November 6, 2012 for "building and renovations at the elementary level" to improve 24 existing campuses and construct 3 new elementary campuses. 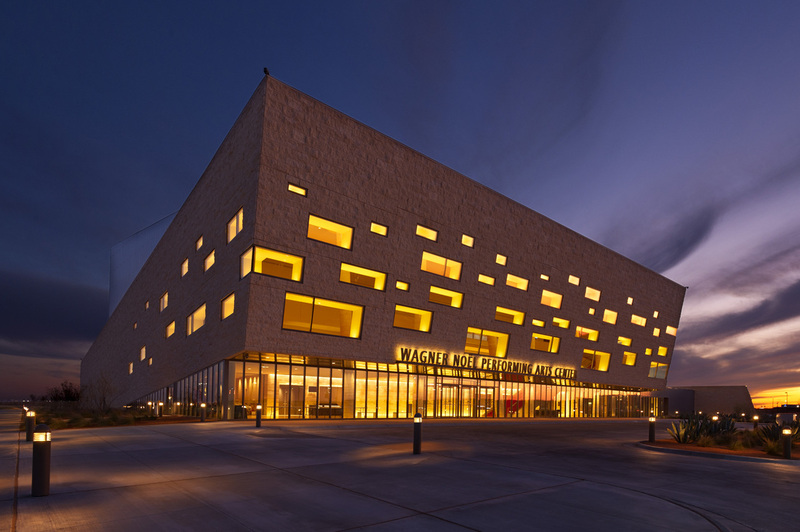 The Wagner Noel Performing Arts Center opened in 2011. The Midland venue ranked #66 worldwide on the list of the top 200 theatre venues by Pollstar Magazine and approximately 127,000 people attended an event at the facility in 2014. The Colorado River Municipal Water District completed a 45 mile $142 million pipeline from Ward County to the distribution Center in Odessa capable of supplying 30 million gallons of water daily for use by Odessa, Midland, Big Spring, Stanton, and Snyder. The Odessa City Council approved a resolution to authorize a $38 million expansion to increase capacity (from current total capacity of 45 million gallons per day) to 65 million gallons per day. The T-Bar Ranch Pipeline, a 67 mile waterline from Winkler County to Midlnad County, came online in May 2013 adding 30-40 million gallons of water daily to the Midland water supply, easing the need for continued water restrictions. The project represents an approximately $200 million investment by the city of Midland. Monahans leverages and actively promotes the Monahans Sandhills State Park to promote tourism as well as being an amenity for area residents. The Park is home to an 800 acre equestrian area and sand toboggans and disks, for "surfing" on the sand dunes, can be rented at park headquarters. In September 2014, Ector County leased Gardendale Park to the Gardendale Community Association, a newly formed citizen-run 501c3, for management and maintenance of the park. The 501c3 has the ability to accept donations for park improvements, the first of which came in the form of 10 trees donated by Texas Electric and the Wonderful Texas Trees Foundation.